"There are frames. I'm just that destined someone to capture a few of them." 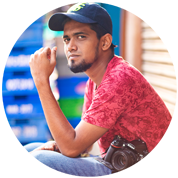 Mr Kay Photography is a photographic endeavor by Kannan K R who believes there are certain frames that has to be captured by him.